Rocc releases new EP album ‘Community Service’ | Sonic Smash-Music! 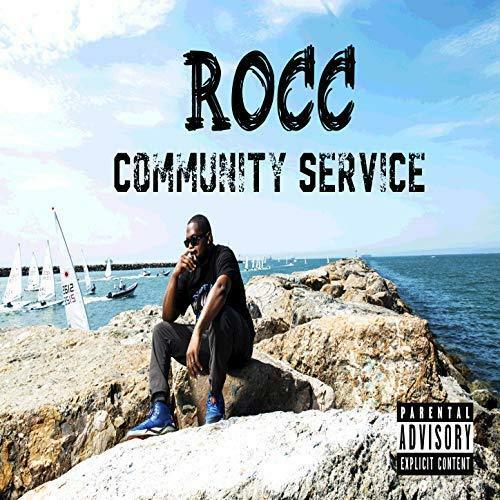 The songwriter and producer of hip hop known as Rocc has released his latest official EP album, “Community Service.” The EP album contains seven original Rocc tracks for an approximate total listening time of 25 minutes. It has been proudly published as an independent release without the involvement of the corporate music industry on the Blue Collar Music Entertainment record label. Gritty, direct, and bringing urban poetry on par with the West Coast’s best, “Community Service” showcases Rocc as one of the most intriguing hip hop artists of the year so far and promises we can expect plenty more in the years to come. Long Beach’s Rocc cites as main artistic influences Kendrick Lamar, Busta Rhymes, J Cole, Snoop Dogg, 50 Cent, Vince Staples, and Lil Wayne. Rocc’s own sound takes elements from each of these and adds something fresh and unique for a result which continues to keep hip-hop fans coming back for more. With an emphasis on wordplay, back beats and rock-solid bass lines, “Community Service” by Rocc has a little something for every avid hip-hop listener. Neither is Rocc’s “Community Service” simple music for it’s own sake. The title being more literal than figurative, Rocc makes a point on his new EP to bring socially conscientious songs at a time when many think it’s needed more than ever. “Community Service” isn’t all sunshine and empowerment, however. Rocc has a bone to pick with less sophisticated hip hop, and he picks it. This entry was tagged blue collar music entertainment, community service, new lbc hip hop, new long beach rap, rocc.